It was a timely response from Klopp's men who had been held to back-to-back draws in the Premier League to allow City back into the hunt. Manchester City can, however, move back level on points with the Reds with a win over Chelsea on Super Sunday. 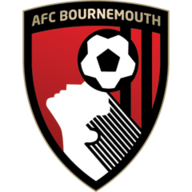 Bournemouth made a decent start and Ryan Fraser's effort tested Alisson inside four minutes, but Liverpool were soon in their stride. James Milner provided the ammunition down the right on 24 minutes, delivering a fantastic ball that was thumped home by Mane. 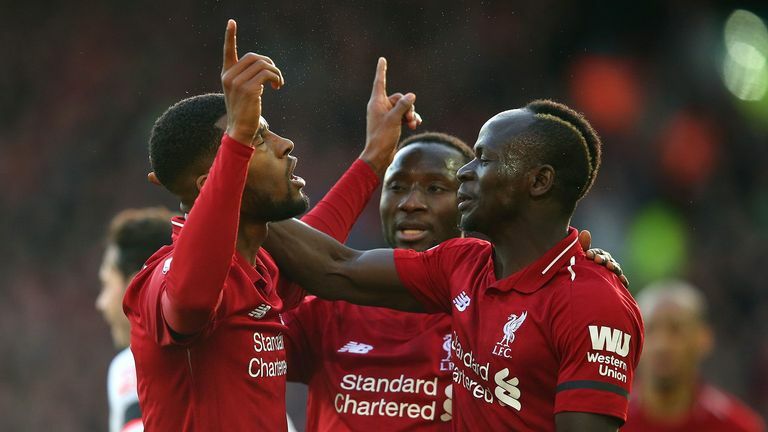 Jurgen Klopp had Georginio Wijnaldum back and he replaced Adam Lallana while Eddie Howe made three changes from the defeat at Cardiff. Salah fluffed his lines three minutes later from Wijnaldum's square ball but it was soon to be 2-0. Liverpool's midfield general, Wijnaldum, burst into the box and produced a marvellous finish to lob an effort over Cherries 'keeper Artur Boruc and into the far corner. Bournemouth were finished off just after the break when Firmino produced one of the assists of the season to spot Salah in his wing-mirrors. The Egyptian seized upon the perfect flick and curled a fantastic effort into the corner for his 17th Premier League goal of the season. With the points in the bag for the Reds, Trent Alexander-Arnold returned from a lengthy lay-off and almost scored after another sublime Firmino pass, but Boruc stood strong. Job done for Liverpool. Over to you, Manchester City. The lack of spark in Liverpool's midfield in the draw at West Ham was clear to see. With Wijnaldum back in the side at Anfield, he showed just how important his influence is in Klopp's engine room. His runs from midfield were a constant threat and his goal was a thing of beauty, not taken like a man who had scored more goals for his country than his club this season. He was pushed very close by Firmino for the outstanding award, as the Brazilian's passing, especially in the second half, was a sheer delight to witness. Liverpool have only lost one of their 15 competitive matches against Bournemouth, winning 11 (D3). Bournemouth have lost each of their last eight away Premier League games, conceding at least two goals each time. Liverpool have won six and drawn one of their seven home matches against Bournemouth in all competitions, keeping four clean sheets. Milner has provided more assists in this Premier League season (4 in 21 apps) than he did in the 2017-18 campaign (3 in 32 apps). 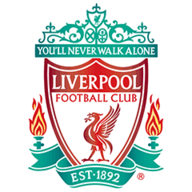 Liverpool have a 10-day break now with their next fixture being a home clash with Bayern Munich in the Champions League on February 19. Bournemouth are not back in action for two weeks when they host Wolves on February 23.